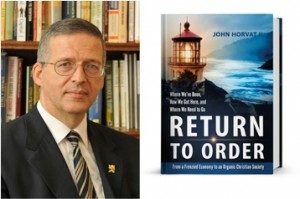 On May 8, 2015, John Horvat talks about his book, Return to Order, with Dr. John Cook on his show “Good Books Radio” on the NPR affiliate station, KMBH-FM 88.9, in Brownsville, Texas. 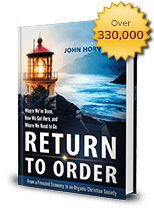 The half hour interview discusses the frenetic intemperance in modern society and the solutions proposed by the book. The taped interview was broadcast on June 2. This entry was posted in Featured and tagged frenetic intemperance, NPR, Radio Interview, Return to Order by RTO.org. Bookmark the permalink.